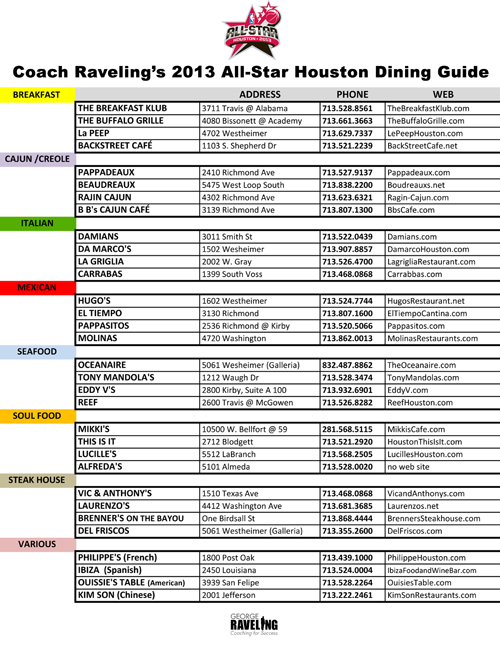 I’d like to share some great places to eat while in Houston for the 2013 NBA All-Star Weekend. Enjoy some of Houston’s best places to eat, from breakfast to dinner, cajun to soul food, this list has got you covered with some great recommendations. I hope you find this dining guide very useful!